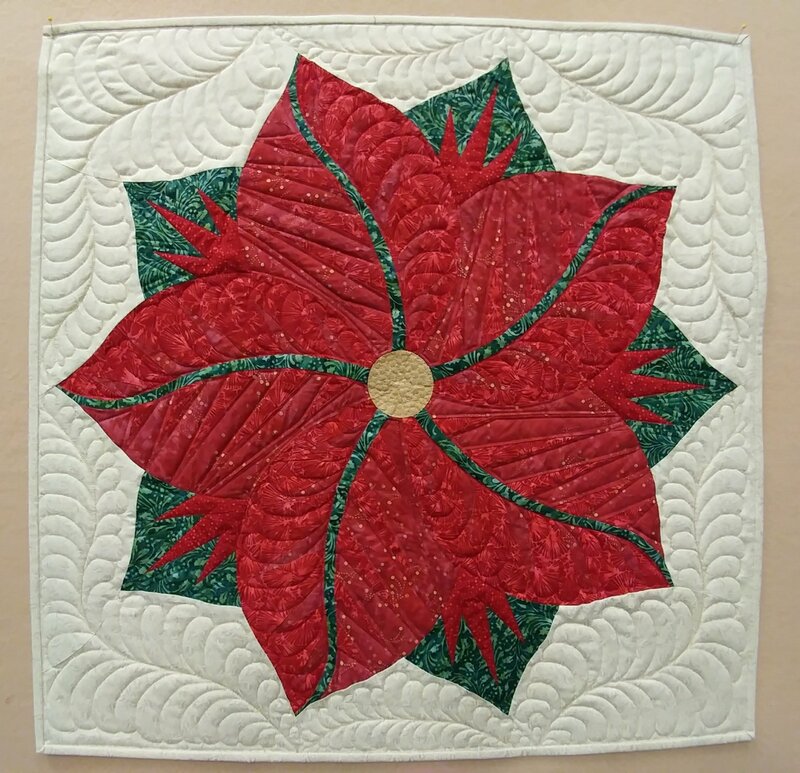 Poinsettia Table Topper Kit - 30" diameter Our kit is the red and green coloring. Judy and Brad Niemeyer designed the layout, instructions, and foundation papers for the Poinsettia Table Topper pattern. A collection of fabrics designed by Judy and Judel Niemeyer with Timeless Treasures were selected to make the samples shown on the cover (collections include the Cactus Mini Collection and Antique Garage). A sewing technique called foundation paper piecing is used to assemble the units required to make this quilt. Curved piecing is used to join the units after the foundation piecing is completed.